I'll cut right to the chase! This news article will be about tutorials and resources related to space and space art. In an attempt to bring order in this chaos we call life, art and news articles I'll try my best to classify the resources and the tutorials into categories - knowing all too well that those classifications are arbitrary. Enough of that though, let us begin. Space art can be divided in a number of sub genres, in this article I'll talk about two such categories (again knowing all too well a lot of space art falls in neither of these categories); classic space art and terraspace. Your typical space scene usually consists of one or several space elements and celestial bodies, such as planets, nebulas and stars. In terraspace another dimension is added. The "camera" or point of view is not located in outer space, but on the ground. The space elements are then put in the sky. To achieve this, the artist often have a stock photo of an up-close environment in the foreground (traditionally rendered in the software program terragen, hence the name). Aside from the tutorials I will, as previously mentioned, also provide links to a number of free-to-use resources. 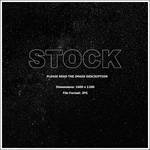 Make sure to read the description on these resources for limits and regulations related to the stock. Also, try to avoid using unmodified resources in your work. You wont learn anything by doing so. Instead try to modify, over-paint and in other ways change to stock to make it partially your own creation. 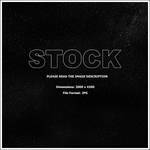 Stocks should really only be used for learning purposes  theyre great while your learn how to get things right, but once you know how to do it yourself you should try and create as much of your scenes yourself as possible. The composition is one of the fundamentals in art creation, with a crappy composition even the most awesome piece turns into a mediocre one. Superiorgamer explains this and more in these tutorials. The foundation upon which almost every space piece rests is star scapes. Star fields are easily neglected and not very thought over by a lot of artists though. Here’s a head start on creating complex and interesting stars and star scapes. ladyrapid goes one step further and scrap the noise layer for fully painted star fields to great effect in his tutorial. Finally Ov3RMinD gives us an explanation on how to create those extra detailed stars with diffraction spikes. This star resource by :devmoonchild-stock: is very simple, but with some manipulation using the clone tool and/or the cloud filter in photoshop for instance, it could turn into a really beautiful starry sky. 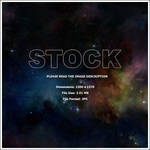 This is probably the best stock for learning how to manipulate and create your own interesting star scapes. These starfields by Hameed are both of high resolution and outstanding quality. Theyre intended to be used by non-space artists or beginners to space art and can very well stand without too much manipulation. Thats, however, a bad idea  since the point of this whole tutorial is to experiment, create and to learn! Planets are probably, and perhaps naturally, the most common element (aside from stars) in both classic space art and terraspace. The most commonly used way to create planets are by manipulating textures in Photoshop. 3d rendering programs such as 3d studio max can also be used with great results. 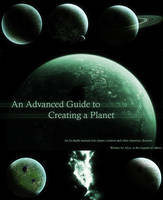 alyns Advanced planet tutorial mixes the creational process with scientific facts on what you need and should know about planets before creating them, this tutorial has been a starting point for many space artists. It also includes a lot of extras, such as city lights and planet rings etc. 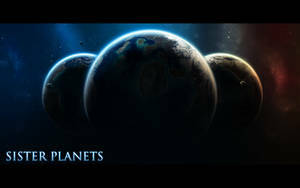 DemosthenesVoice is an excellent tutorial on another method in which to create planets. Also includes a lot of extras and alternative ways in which to create things like city lights. A little less common planet type in space art is the gas-giant, but ofcourse there’s tutorials on this subject as well! Take a look for instance on lord-ks tutorial on gas giants. A special tutorial in the sense that it explains how to get a tilt on the planet you usually don’t using the common methods of gas giant creations. hoevelkamp makes some of the most extraordinary planets using 3d studio max and has been kind enough to reveal his secrets to the community in this tutorial (check his gallery for more 3d studio max tutorials on rings and textures etc). One thing many new artist have troubles with, is lightning the planet correctly, this tutorial by bloknayrb explains how to do it, and how not to. 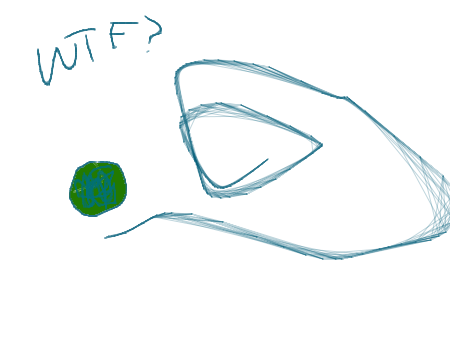 Lastly Mr-Frenzy explains a way to create planet textures. As theres an overabundance of planet resources here on deviantart I wont present you with an introduction to all of them  as Ive done to most of the other resources, instead Ive categorized them into categories with no additional information. Ive still tried to only select high quality resources though. The pre-made textures are what will give you the most freedom when creating planet, and the highest level of educational experience when used. Nebulas are another very common element in space art. Again I will try to categories them, not by how they look though, but how they are created. The three basic ways in which to create nebulas are by manipulating cloud stock, using fractals generated by programs such as apophysis or by painting them on free hand. There’s obviously other ways and middle ways, but these three would be the most common. First of it’s good to know what a nebula is, and how they’re commonly displayed in space art. alyn gives us this and more (including a classification based on creation as mentioned above) in his in-depth nebula study including dozens of examples on various nebulas. ColdFlame1987 has made an excellent tutorial on how to create nebulas from scratch using nothing but your tablet or mouse. Another tutorial on painted nebulas, that’s actually more of a walkthrough, is Andr-Sars trifid nebula walkthough. Then there’s three other noteworthy tutorials that deploy special techniques and variations of different techniques worth showcasing here. Namly cchomikk, Pr3t3nd3r and nishts. 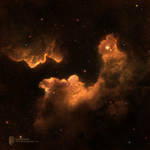 Hameed whos got his gallery full of amazing stock obviously has a few nebulas as well, heres one of them. 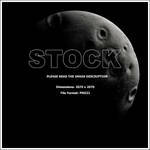 Moonchilde-Stock has a wide variety of all kinds of different nebula stock. Some of them can be used as they are without any manipulation, while some of them would provide an excellent base for further development by over-painting or other means. Heres a selection of the gallery. scifisrc and cheshireflare explains two ways in which to easily create suns. gucken show us how to create trails - for space ships and comets for instance. Now it’s time for some terraspace. As mentioned earlier terraspace is space art with a terrain in the foreground. The terrain can either be a stock picture you’ve taken yourself or gotten for free online, or a terrain created using a terrain software. I won’t go into details about how to create the terrains or how to choose the best kind of photo, instead I’ll just present you with one single terraspace tutorial that explains some of the basics, namely zebravissimos terraspace tutorial. There are a few resources here on deviantart that has been created specifically for learning purposes & some people have even uploaded deviations showing the progression of their pieces. These kind of resources can often give more insight into art creation than tutorials or basic resources. GlennClovis has uploaded a huge 2500x2500 .psd file containing ground and cloud textures as well as several different shadow and atmosphere layers for planet creation. 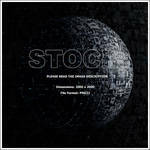 An excellent file to see the intricate workings of PS and of planetary creation. Though the original brushes of Photoshop usually is enough, some people create their own brushes to use when painting stars and nebulas (and even planets, though these wont be presented here). Some of these brushes enables you to create whole nebulas and even galaxies with a simple click. Since thats not creating anything by yourself, those kind of brushes wont be included here. And though youll often get a nicer result from making your own brushes or simply learning techniques so that the default brushes of Photoshop are more than enough for you, Ill present a few excellent and high quality brush sets that gives great results, but also requires quite a bit of work from the artist himself/herself. One of the best ways to learn how to create space art is by interaction with other space artists. Deviantart is a great place to meet artists from all over the world. Comment on other artists works and ask for inputs yourself. Join space themed clubs and join the official space art channel chat.deviantart.com/chat/space… here on deviantart. Heres a list of space themed clubs to join. goes out to all the wonderful artists whos written these tutorials and created these resources - big kudos to all of you. Yay thank you so much for compiling this! I've always been curious about creating space art. Wow! Stumbled across this page by accident and was so pleased I did. Amazing selection of tutorials and resources to satisfy any space enthusiast. Immediately bookmarked and Thanks very much. This is the single most awesome page on DA. Great collection of tut's. 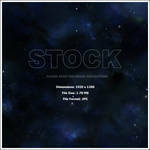 I'm sure it will be a big help for every person who like making sci-fi or space related works. Thanks for sharing this with all of us. Is there some way to fav this? I have to keep this saved for future reference! Check this out instead [link] that tutorial includes all this and much more! Thanks for pointing me at it. [link] any idea on how to improve ??? Cannot imagine how long it took you to create this article! A lot of information to digest, as well as some nice pictures! I shudder to think the cost of space programs. At any rate, really good information and very appreciated! that i had to give it a try. I must say i think it came out better as a thought. I love space art. I'm terrible at it, but I love it anyway! Thanks for putting this together. Wow! Amazing!!! Thanks for this! After this post I will definitely try to paint some spacescapes. Really cool collection of tuts and resources you have come up with and way overdue I might add thank you. 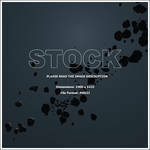 I have over 100 3d abstracts availble that could easily be incorporated into many space scenarios for anyone who wishes to use them help yourself. The best tutorials and resources all contained so close together; it's almost too much! 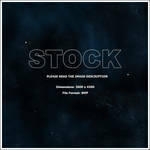 Does anyone know any great website for stocks for spaceshuttles or spacecrafts? Very well done and interesting. I don't draw much Spacescapes, but the lessons are applicable in many other things. Excellent compilation of resources! Thanks a ton for sharing... it makes me want to create something right now. Awesome collection, I think `hameed has a sun tutorial. I don't do space are but this is a great article! Thanks to this, I got started on making my own space art! This is awesome. Now, I can try to make a Galaxy of my own. Real handy to have so many great resources together in one place! Excellent post, thanks for sharing! It's great to have some of the best spaceart tutorials consolidated in one place. A happy note...Just noticed I recieved my fifth daily deviation on my most recent piece "Fatality"
And what a surprise at that. First piece in half a year or so. And on terrible hardware. I'm very surprised yet very greatful for this honor! Welcome to all new watchers, and thanks for all the favs you people have spread my way. Much appreciated. Wish I could thank you all personally, but my inbox is a bit overflooded at the moment. On another happy note I just recieved my computer back from the workshop, and can fire up Photoshop again. Any tips or themes you'd like to see for my first piece? I've been very inactive lately. One deviation submitted since March - and despite trying to login at least once a week to check my messages, I've got well above a 1000 activity messages and even more unwatched deviations. So I'm sorry that I haven't thanked all new watchers like I usually do, and for not having responded to your messages and notes. I'll do better in the future. The turn out on the contest I announced in my previous journal has been canceled due to a horribly low turn out. Thanks to the 4 people who actually gave a damn though. Send me a not or something if you need help, advice or critique on any of your deviations and I'll make sure to help you out. Writing Resources for EveryoneThis news article is brought to you by the literature news, resources and feature groups: LitResources and its primary affiliate LitandNews. We invite you to explore the Literature community further, informing us of anything that should be included in future articles. Below, deviants will discover various information about the Literature community, have the opportunity to check out some of our favorite deviations, and read our growing collection of wonderful writing tutorials and resource journals packed full of useful tools to assist everyone in their journey on DeviantART as writers and far beyond. Portfolio (The Awesome Version): It's Here!Portfolio is the simplest and most professional tool on the Internet for formal presentation and review of artwork  and the best part is: it's available to everyone for FREE! [CLOSED] FREE art! (#13 Weekly raffle) And this raffle is over! Messy, spin the wheel! Okie dokie! An the winner is... lilith-lips ! Congrats! 'I missed you guys, our weekly raffles are back' - is that what you wanted to say? Writers Weekly: Contests, Articles, and Forums Stay up-to-date on the literature community. This is theWrittenRevolution's blog for literature community news promotion. I'll post highlights from my 'Love DA Lit' news series, the DDs for that week, as well as listing some updates from our affiliates! This journal will be updated once a week, on Sunday, along with my news article. Please feel free to comment or send me (HugQueen) a note with any comments, questions, or suggestions! I am always happy to include literature relevant things[or things from our affiliates I might have missed]! How to create space artI'll cut right to the chase! This news article will be about tutorials and resources related to space and space art. In an attempt to bring order in this chaos we call life, art and news articles I'll try my best to classify the resources and the tutorials into categories - knowing all too well that those classifications are arbitrary. Enough of that though, let us begin.